Bilateral ties between Indonesia and China are better than they've ever been and there are plans to make them even stronger. China's infrastructural development is becoming a model for the rest of Asia. 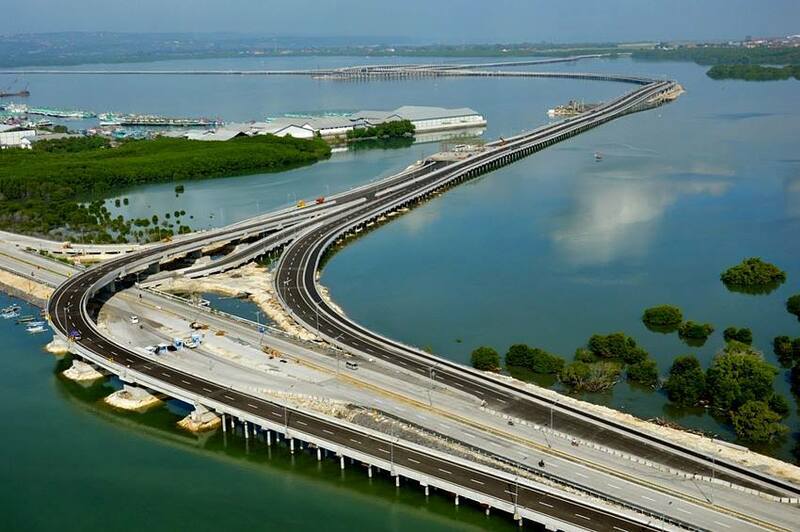 Bali's Mandara Toll Road from Benoa to Sanur. A sign of the island's future infrastructure? Speaking in an exclusive interview with Xinhua recently, Indonesian National Development Planning (BAPPENAS) Minister Bambang Brodjonegoro said that by promoting bilateral cooperation, both Indonesia and China would develop concrete benefits. The current state of affairs has Indonesia suffering a trade deficit with China. There are a number of options on the table to address this imbalance, one of which is through the export of more biodiesel products relevant to China's green economy drive as the country looks to replace its dependence on fossil-based fuels, particularly for the transportation sector. But this comes at a cost to Indonesia's own environmental protection problems, especially those related to palm oil. Fortunately there are more win-win alternatives on the table. More Chinese investors are needed in Indonesia's infrastructure and manufacturing industries, especially in Sumatra, Kalimantan, Sulawesi and Bali to be in line with China's proposed Belt and Road (BRI) initiative. McKinsey and Company define BRI as creating a network of railways, roads, pipelines, and utility grids that would link China and Central Asia, West Asia, and parts of South Asia. Essentially, it’s a 21st Century version of The Silk Road. BRI, however is more than just physical connections. It aims to create the world’s largest platform for economic cooperation, including policy coordination, trade and financing collaboration, and social and cultural cooperation. Brodjonegoro suggested Chinese investors should be encouraged to establish partnerships with Indonesian companies who already have operating licenses in the right areas. These cover seaports, airports, industrial zones, power plants, toll roads and hospitality accommodations in the tourism sector. Manufacturing is another area open for Chinese investment. Indonesia is looking for Chinese investors capable of running smelters and other facilities to process raw commodities into value-added products. Brodjonegoro believes this would not only help improve Indonesia's product quality but also stimulate technology transfer and offer significant benefits to Indonesia's economy and tourism sectors. "We can imagine that if they take part in those investments, we would eventually see North Sumatra, North Kalimantan and North Sulawesi become new growth centers. It would give significant economic opportunities for the country," he pointed out. China has overtaken Japan to become Indonesia's second largest source of foreign direct investment (FDI) and as the world's fourth largest population, whose economy and per capita income continue to grow, the potential for future cooperation between China and Indonesia is significant to say the least. Indonesia posted a four-year high 5.07% growth last year and has targeted a 5.4% percent growth this year, and between 5.6% to 6% next year.